The player will stay in Sweden until the end of 2013, according to his new club. Mo Bangura has left Celtic to join Swedish side Elfsborg on loan. The Sierra Leone international spent the end of the 2012 season with AIK and, according to Elfsborg, will return to the Allsvenskan for the duration of the 2013 campaign, which runs until the end of the year. 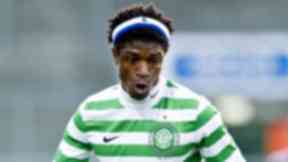 Bangura has flopped at Celtic, failing to score in 16 competitive appearances. 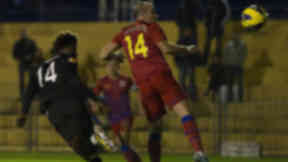 He netted on his return from AIK in a mid-season friendly against Steaua Bucharest, but has failed to convince manager Neil Lennon he can be part of his plans for the second half of the season. Elfsborg's chief executive Stefan Andreasson said: "IF Elfsborg has today agreed with Celtic for a loan of the player Mohamed Bangura in season 2013. 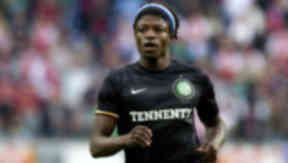 "We are very excited to have managed to get Bangura to us. It feels like we have now created a squad that is ready for the challenges ahead of us this year." FIFA rules traditionally forbid players from playing for more than two clubs in any one season, with Bangura having already turned out for both Celtic and AIK. The regulations, however, allow for Bangura to join Elfsborg because the Swedish season runs on a different calendar to the Scottish.